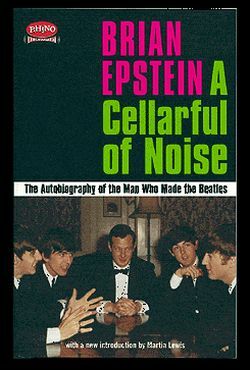 "In A Cellarful of Noise", Brian Epstein provides the insider's look at the rise of the Beatles, and describes how he managed their transformation from an r'n'b cover band into the most popular rock band in the world. Their initial success was his first as well. Epstein discovered the Beatles, and as their only manager, guided their spectacular rise until his tragic death from a drug overdose in 1967. Long out-of-print, "A Cellarful of Noise" is Brian Epstein's inside and personal account, as told by Brian himself.